Katherine the Great » Blog Archiv » Christmas in January. Let us first note that my brother’s wife (J) had until last fall, never commented on the blog. I assumed she was not a reader. So, I posted pics of the completed socks she was getting for Christmas and didn’t post a blog link on Facebook. No worries. Then, out of nowhere, J commented on HER socks! I thought something to the effect of “Sons of Biscuits! What are the odds?! ?” but never said anything. J: as she’s opening, “better than socks?” like she can’t imagine there is such a thing. She opens the package and is surprised to find the socks that she admired on the blog. J was thrilled and immediately kicked off her shoes to try them on. They fit beautifully. WINNING! At this point, she told me that she did not remember picking out the yarn (I can’t really imagine such a thing, but that’s what she claims) and thinking when she saw the really pretty socks on the blog that they were for one of my other sister’s in law, she was jealous and loved them. I was VERY pleased to have surprised her after all. Ps. 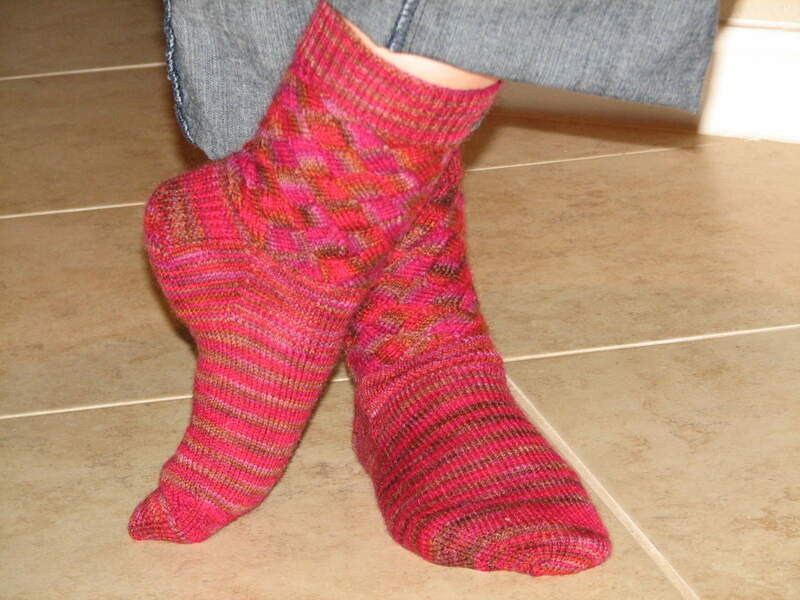 If you fancy a pair of Annetrelac socks for yourself, you might want to buy yourself some Schaefer Anne yarn. I’ve heard that the genius dyer at Schaefer is retiring. 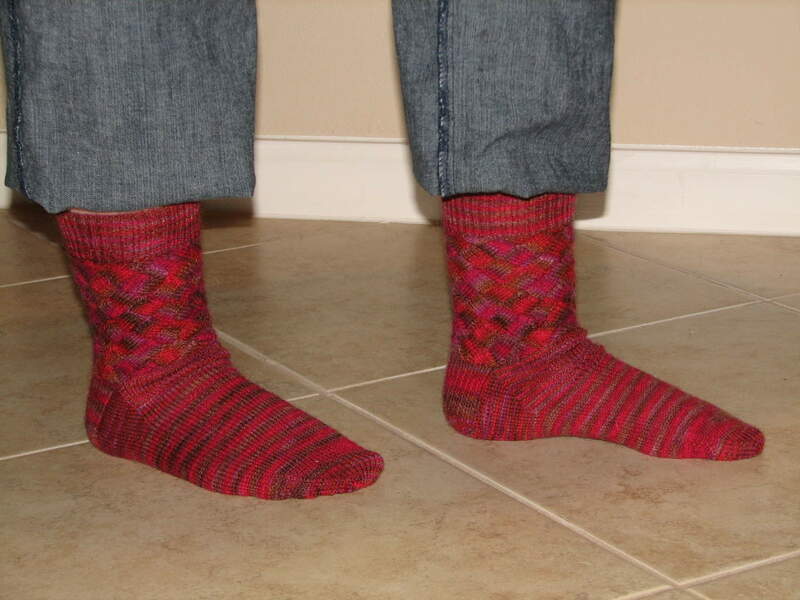 Ooh, entrelac socks! I’m very impressed. I’ve made some entrelac scarves, but I haven’t ramped up to trying socks. They’re very pretty! Thanks! I got some greenish Anne yarn to make myself a pair at some point.